Did you know that when a web search for “Bacon and Wine Pairing” is properly conducted, every varietal under the sun will populate as a perfect match? 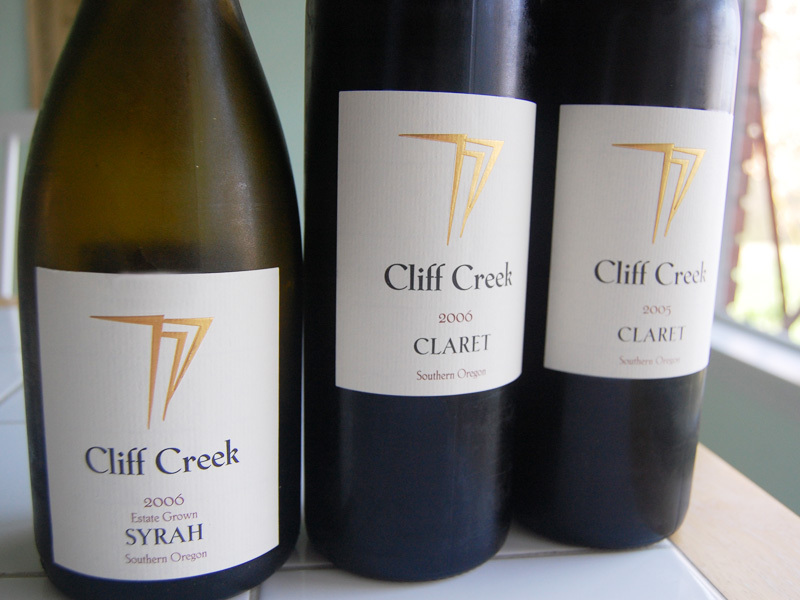 Syrah, Cab Franc, Barbera, Cabernet Sauvignon, Merlot, Zinfandel…. The list goes on and on. America’s love for bacon is timeless, however, the foodie caliber fascination of late with bacon has created an obsession unmatched, at least temporarily, by everything but, errr, dare I say… a wine lover’s affection for all fabulous things vin? Of course, here in the Northwest, we must put a Portland/NW Oregon/hot Southern Oregon spin on it. Our bacon, like our wine, is intentionally local (Wilbur is the name of the most recent bacon donor I partook of), raised in a free-range, organic, healthy, happy, hormone and antibiotic-free, loving environment with flora and fauna variety and Mat Kearney playing in the background. We are also very serious about the way our bacon is prepared. Jason Sellers is co-owner of Off The Bone Barbecue and Catering in Southern Oregon and possesses more ardor for bacon than pigs do for mud. He takes pride in perfecting the fine art of bacon barbecue. “Anytime you make something with your own hands from beginning to end, the finished product brings a much larger reward.” Jason attests. 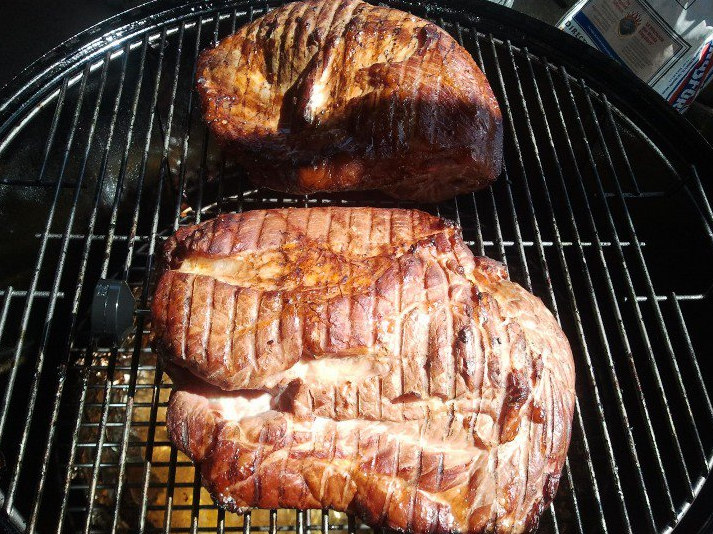 “Investing my time into cooking expresses my love for those who get to enjoy the meats of our labor.” Searing, then slow grilling a slab of bacon allows the fat to baste the meat. The result looks nothing like bacon, but produces a moist (not crispy) delicious smoky pink product that will make the traditional bacon strip curl with envy. A friend recently forwarded me an invitation for a Southern Oregon wine club event: “Cliff Creek Cellars- Bacon and Wine Pairing! We barbeque local artisan bacon in addition to legendary bacon flown in fresh from the Loveless Café in Tennessee.” DIY pairings with incredible Cabernet Franc, Syrah, Claret and a wonderful white blend resulted in some creativity and a lot of food and wine driven passion. “The biggest hits were the BLT - Bacon, cherry tomato and Rogue Creamery ‘Oregon Blue’ Cheese lettuce wraps with the Roussanne/Marsanne, and a 60% cacao dark chocolate dipped bacon paired with the ‘Cadence’ Port-style Syrah”, Roy Garvin related. Roy is among three generations of the Garvin Family who founded the vineyard and winery in the early 1990s. His mother, Dorothy, standing right beside him in the tasting room, adds “We decided on the Roussane/Marsanne blend at the suggestion of our winemaker, Joe Dobbes.” Cliff Creek crafts an assortment of red wines that are rich and velvety with a distinct hint of cinnamon on the finish well suited for a peppered or maple smoked bacon pairing. The buzz created around the bacon and wine events is phenomenal. Emails, calls, RSVPs and a flurry of excuses to cancel on prearranged plans to attend the said bacon pairing events. As a wine advocate, I make it a point to say the name of and pour the wine first when pairing to place emphasis on the wine. However, the craze of bacon (which, I am told, might just be the only substance known on earth to make a vegetarian forget his or her meatless world for a moment) prompts me to blurt out the word “bacon” even before that special vintage bottle title I have so carefully chosen to offer. Gateway meat indeed. Truth is, I cannot say it’s a bad thing. The most fervent bacon aficionado may be next in line for the CS or MW badge, because, if one loves bacon and wine paired to the quintessential extreme, it may mean one really does adore wine that much, or that, for the very first time, the zeal for a beautiful glass of the good stuff was that much enhanced by the bacon-induced opiates connecting right now with the brain’s receptors, and what could be so wrong about that?